Chelsea and Liverpool may well be the two teams who are closest to signing Borussia Dortmund star Christian Pulisic, The Telegraph are reporting. The American could be headed to either the London club or the Reds as things stand, with the player valued at around £70 million by his current club. Pulisic is widely regarded as one of the most sought-after properties in all of Europe, and could be one of the Premier League‘s most crucial finds. He has a contract with Dortmund till 2020, but the German side may well be willing to sell their man if they get the right amount. However, they remain adamant on not letting him go in January, waiting instead till the summer to let negotiations go through an extra bit longer. Chelsea face the threat of losing starman Eden Hazard to Real Madrid or any other European heavyweights next summer, and would be willing to reinforce their team with the signing of Pulisic, while Liverpool want to ensure their frontline is untouchable by adding the 20-year-old to the mix. The report further claims that if Chelsea or Liverpool are unable to meet the asking price for the midfielder, there might be another side willing to sign him, as Paris Saint-Germain are also said to be in the running. The French giants are looking to sign a replacement for forward Neymar Jr. in case the Brazilian decides to move on amid interest from Real Madrid, and could sign Pulisic as an able deputy. 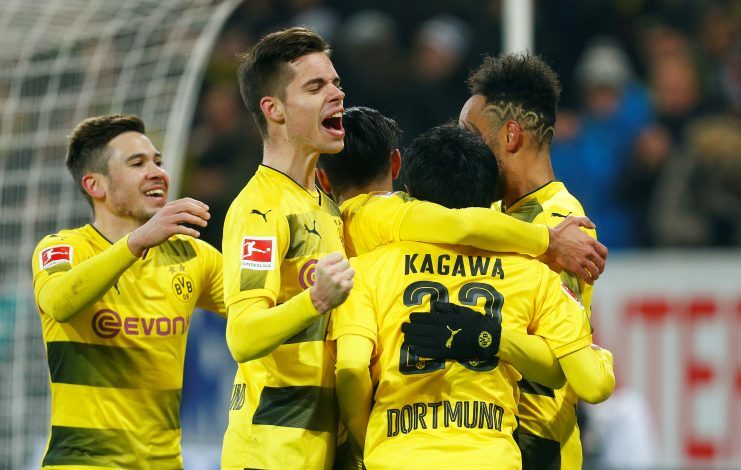 As it stands, however, the American remains a Dortmund player, keen on ensuring his side goes all the way in the Bundesliga, while also showing his class on the International stage with the US. How this particular deal works out promises to be an interesting one.